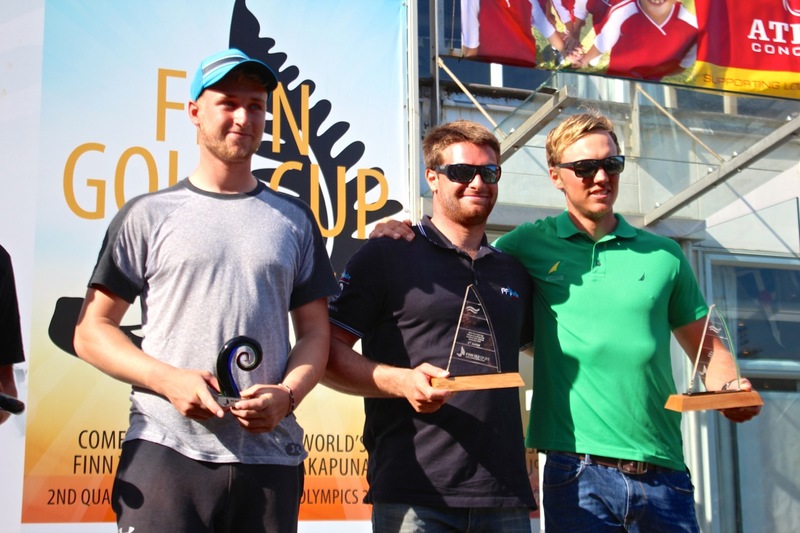 Jonathan Lobert (FRA) and Vasilij Zbogar (SLO) secured their first ever Finn Gold Cup medals today after a tough medal race in Takapuna, New Zealand, which closed the 2015 Finn World Championships on the Hauraki Gulf. 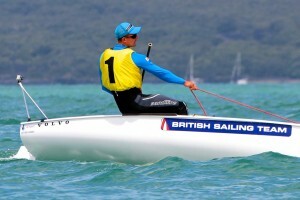 With Giles Scott (GBR) already the runaway winner, the focus on Sunday was the two minor medals and the fourth 2016 Olympic qualification place. 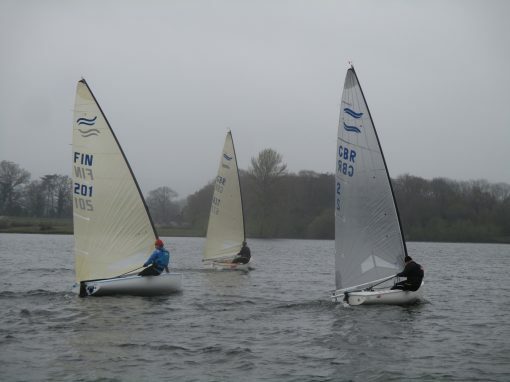 The forecast was the worst of any day so far this week, and at the morning briefing the PRO Ian Clouston emphasised the race committee’s policy of “a fair race or no race”. 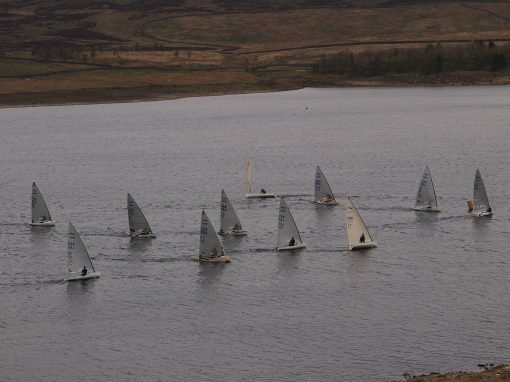 The fleet was sent out on time, only to be sent back in an hour later and then back out later for a 14.00 start. 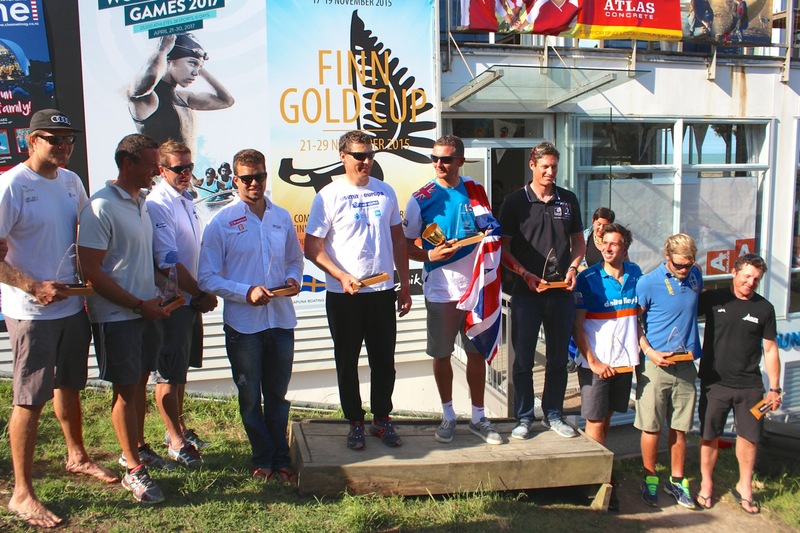 However in spite of an 8-10 knot wind in place by then, it was still looking patchy so after a short postponement, the decision was taken to send in the fleet and send out the top 10 for the medal race. 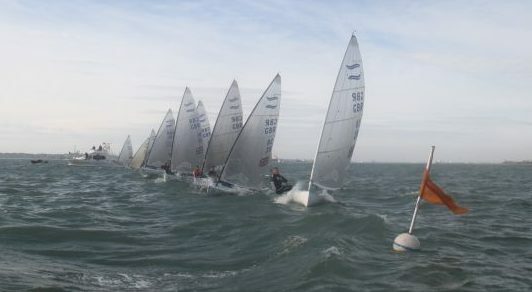 The wind stabilised for the medal race and was an incredibly close fight, which the fleet crossing the finishing line in an overlapped group that was hard to separate. 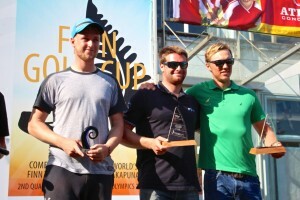 Tapio Nirkko (FIN) led at the top, but Vasilij Zbogar (SLO) took the lead downwind and led up the second beat. 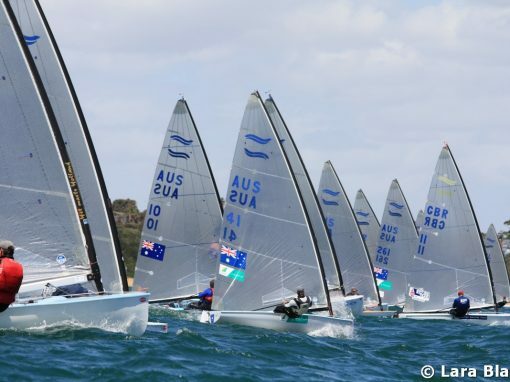 At that point everything changed with the Oscar flag raised for free pumping as the wind went over 10 knots. 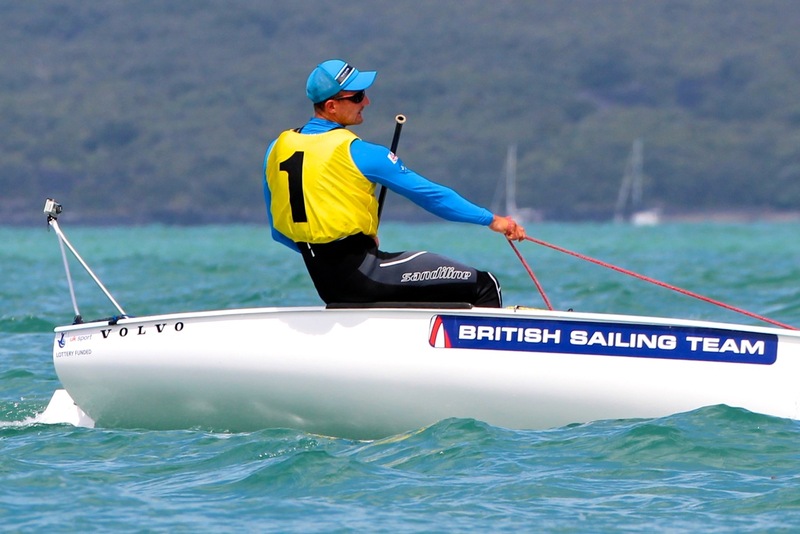 Ed Wright went more to the right, and when he crossed back was ahead of the fleet, but it still wasn’t over with Pieter-Jan Postma (NED) taking the lead in the final moments to cross ahead of Wright and Ioannis Mitakis (GRE). 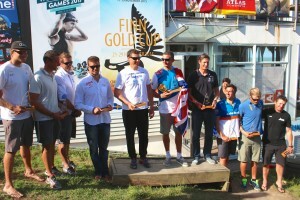 Lobert had managed to hang onto the silver medal with a fourth place finish, which Zbogar stole the bronze from Andrew Murdoch (NZL) on virtue of a better medal race score, both sailors ending up on equal points. As well as Uruguay, the other three nations qualifying for Rio next year are Greece, Estonia and The Netherlands. 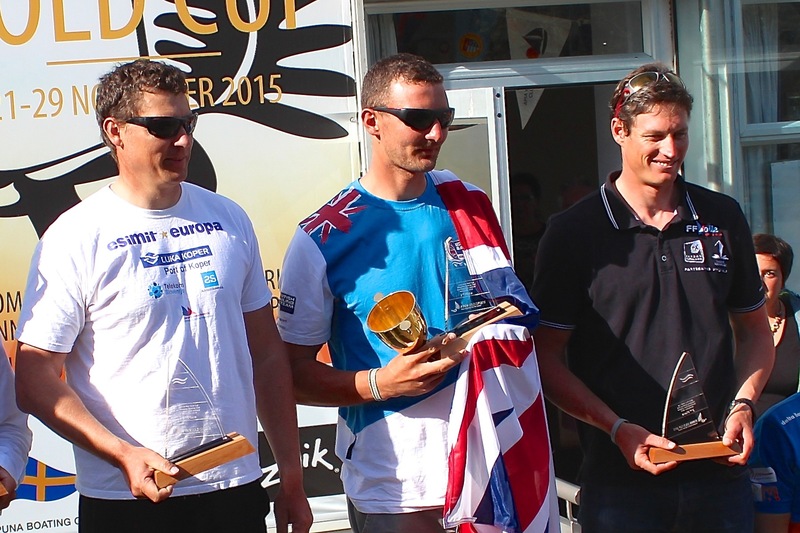 Junior winners, Ondra Teply, Fabian Pic, Jake Lilley.